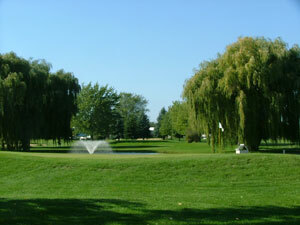 Established in 1966, Oak Hills Golf Course is one of the Milwaukee area’s finest public golf courses. The nine-hole course offers a challenging golfing experience at an affordable rate. The course gives the golfer a feeling that is not found anywhere else in the country. For the golfer who has to work late, we are equipped with a 250-yard driving range and a practice putting green where you can sharpen your skills. Oak Hills has an eager staff that is committed to providing you with customer service that will make your golf visit memorable. Our clubhouse consists features a well supplied pro-shop with a restaurant/bar that is open daily. Oak Hills is also equipped to host your next tournament, private party, wedding or in providing a good scenic view for some post-round beverages. Come visit us and we will show you why we are the premier Oak Creek, Wisconsin golf destination.